How many others have been harmed by the same product? Should I join a class action or file as an individual? How can I prove it was the product that harmed me? The decision to file a consumer protection claim is often filled with lots of questions and anxiety. We know just how much stress you have already endured and we hope to alleviate some of that by providing you with answers to some of your most pressing concerns. What types of damages can an attorney help me recover in a product liability lawsuit? Thousands of consumers are injured across the United States each year due to defective, dangerous products, including medical devices, personal care items, and children's toys. These individuals are entitled to compensation under their state's product liability laws. 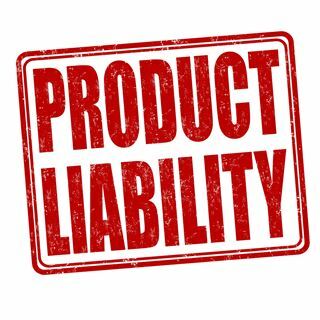 Product liability is an area of law that deals with the responsibility for damages caused by defective and/or dangerous products. It is based on state laws regarding negligence, strict liability, and breach of warranty. In Louisiana, product liability claims are prosecuted under the Louisiana Products Liability Act. The product had a dangerous design, composition, or construction. There was an unreasonably dangerous aspect of the product that could cause harm during a reasonably anticipated use. The unreasonably dangerous aspect existed when the product was sold or was the result of a reasonably anticipated modification of the product. Medical expenses. If you've been injured by a defective product, you can seek compensation for all costs related to your medical care. This includes emergency room care, follow-up appointments, physical therapy, and prescription medications. If applicable, the cost of any future medical care may also be included in your claim. Loss of wages. You're entitled to compensation for any time you missed at work due to your injury, as well as any applicable loss of future earning potential due to your injuries. Property loss. If the defective product damaged your home, automobile, or other property, you're entitled to the cost of repairs or replacement. Cost of disability. If the defective product left you permanently disabled, you can seek reimbursement for the cost of accommodating your disability through modifications to your home or vehicle or hiring household help to perform tasks you are no longer able to do independently. Pain and suffering. You're entitled to compensation for both the physical pain of your injuries as well as the emotional suffering you've incurred as the result of the defective product. Loss of consortium. If you're married, you may be able to claim damages to compensate for the negative effect of your injuries on your relationship with your spouse. Loss of consortium damages are intended to reimburse for factors such as difficulty with sexual relations, no longer being able to have children, being unable to assist with household chores, and being a less attentive partner due to the emotional strain of your injuries. If you're interested in pursuing a product liability claim, experienced legal representation is a must. The companies involved in product liability lawsuits typically have access to teams of attorneys working to represent their interests, so it's vital that you have someone to advocate for your needs throughout the process. The legal team at Neblett, Beard & Arsenault is committed to helping Louisiana residents settle their product liability cases. Contact us online or call us directly at 318.541.8188 to schedule a free, no-obligation initial consultation. ?What types of damages can an attorney help me recover in a product liability lawsuit?